A lovely small standing robin with lots of character. 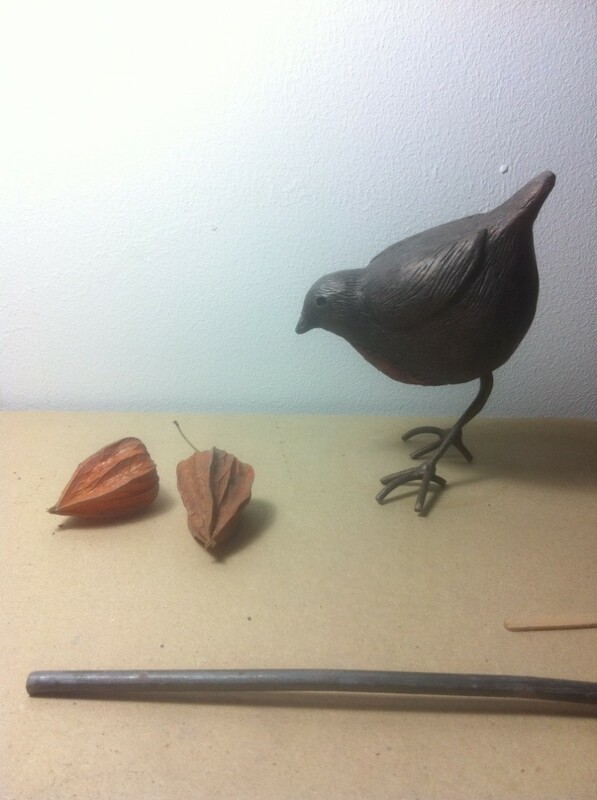 Every robin is finished by hand and each has a different standing position. 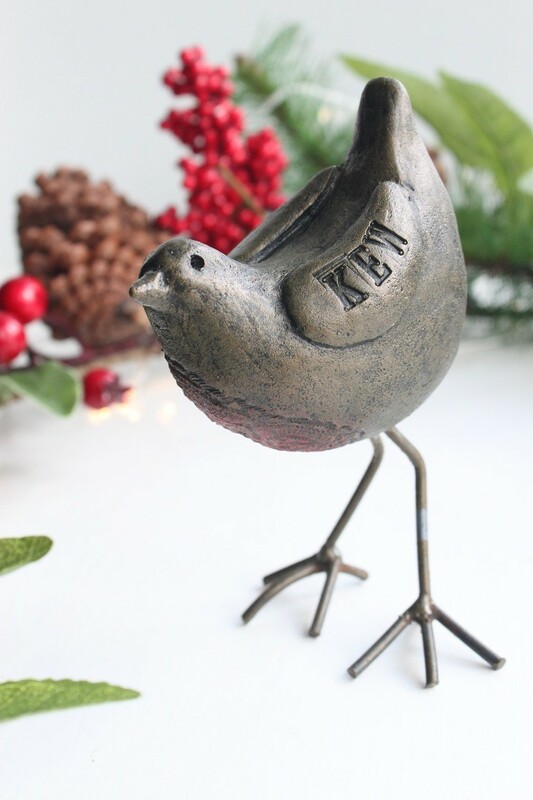 Perfect for mantel piece, windowsill, table decoration or a sheltered porch or entrance hallway greeting guests. You could even use tie wraps to secure to a balcony hand rail. Great fun little sculpture perfect present for indoors or out. Balanced to stand on its own legs with a red brest pattern detailing.